Breakfast didn’t earn its ‘most important meal of the day’ status by mistake. One of the best things about breakfast is that you can actually eat it any time of day and there would be zero complaints. The day’s first feast cannot be underestimated and by no means, is it boring! Breakfast varies wildly around the world but for many of us, we choose the same old foods every day. Not anymore. 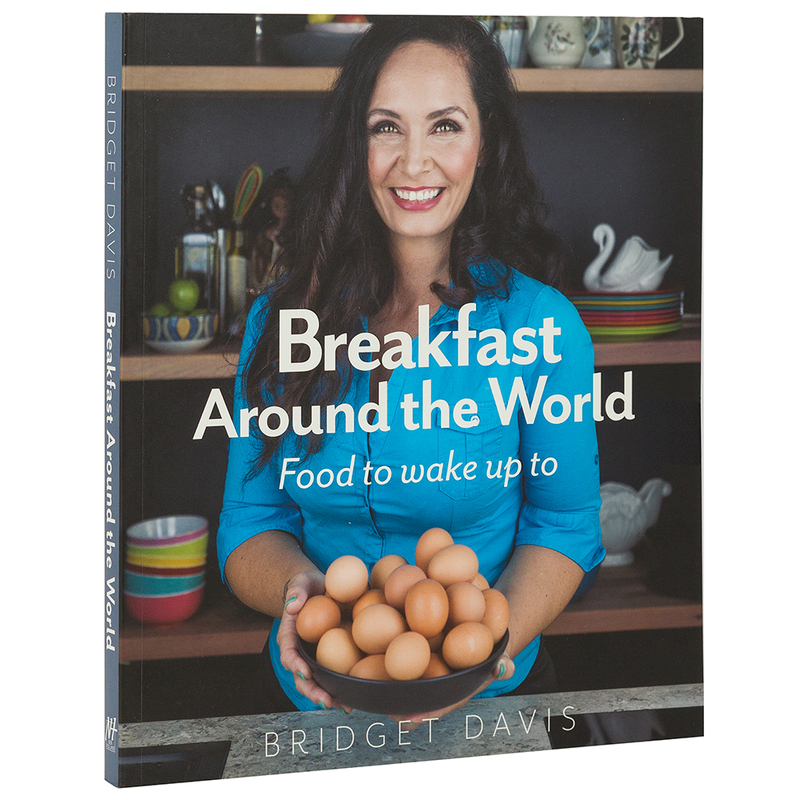 This cookbook will change all that with 50 breakfast recipes from around the world to get your day started differently & deliciously. Bridget Davis is a fully trained chef and a mother of 3 who has cooked for royalty, worked with celebrity chefs and been a gastro-publican. The recipes in this book are guaranteed to get you bouncing out of bed to prepare them. Filled with delicious breakfast recipes including Croque Monsieur, Balkan Meat Pastry and Belgian Waffles as well as many more healthy alternatives. Recipes are divided into chapters from the different nationalities including the Americas, Africa and the Middle East, Oceania and Europe. Stunning photography by Rebecca Elliot. Introduction penned by Bridget Davis. Full recipe index at the front. Dimensions: 22cm (l) x 25cm (h) x 1.2cm (w).